Posted By:Unknown | At:9:26 AM Be the first to comment! (CNN) -- Atlanta police have launched an internal investigation into filmmaker Tyler Perry's claim he was racially profiled by two white officers who pulled his car over, the police department said. Perry, one of America's most successful film and television producers, put a post on Facebook on Sunday describing a tense encounter with police, which he suggested "could have turned for the worse." "It was so hostile," wrote Perry, who is African-American. "I was so confused. It was happening so fast that I could easily see how this situation could get out of hand very quickly. I didn't feel safe at all." 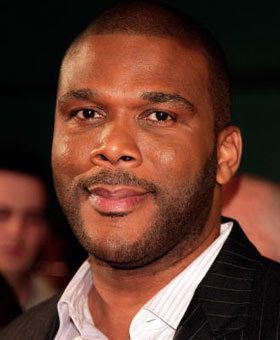 The Atlanta Police Department gave a statement to CNN on Wednesday confirming that two officers recently "encountered Mr. Tyler Perry during a traffic stop." "Mr. Perry's concerns, as recently expressed by him publicly, will be the basis for referral of the matter to the department's Office of Professional Standards," the statement said. "OPS has opened an investigation to determine if Mr. Perry's claims can be substantiated, and whether any departmental policies or procedures were violated during the stop." The investigation began Tuesday, and no action has been taken against the officers involved, a police spokesman said. Perry acknowledged that he made a left turn from a right lane, which a police officer told him was illegal and the reason for stopping him. It was a practice recommended by his security team in case he was being followed, Perry said. The misunderstanding and tension described by Perry suggests that the two white officers did not recognize him as one of Atlanta's richest and best-known citizens. It happened a few days before Perry hosted President Obama at his studio on March 17, he said. The tension was defused after another police cruiser pulled up to the scene, Perry wrote. The black officer spoke "in a hushed tone" to the two white officers, he said. Perry's posting, which has drawn more than 101,000 "likes" and 18,426 comments, told what happened when two white police officers stopped him even though he has directed and acted in at least 16 feature films. But his movies are most popular among African-American audiences, and Perry is often dressed in drag as his "Madea" character.